These delicate little cookies are crispy on the outside and tender in the middle. They have a nice chocolate flavor and are not overly sweet. As an added bonus, they are also easy to make. This recipe was an experiment. 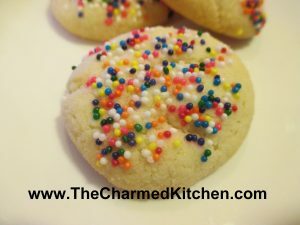 I was so happy with how the cookies turned out, I wanted to share the recipe with you. 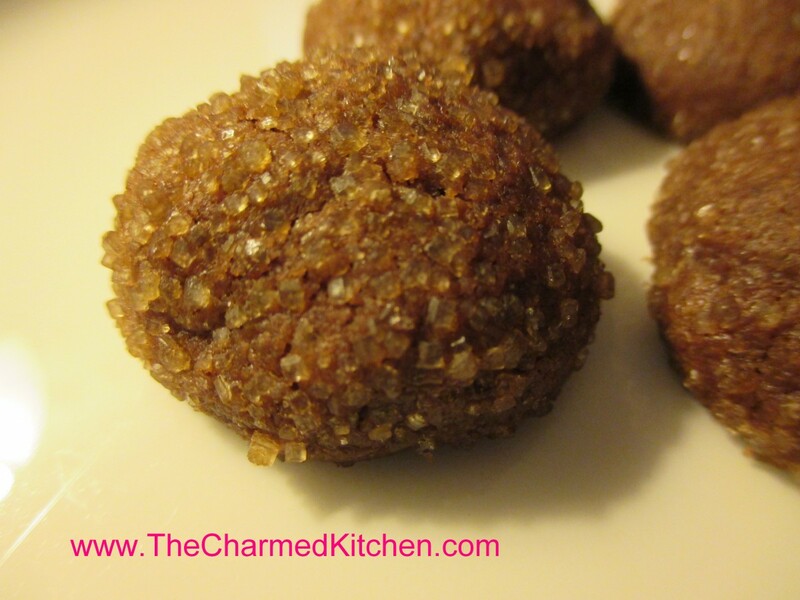 I rolled the cookies in demerara sugar when they were raw and then baked them. Demerara is a less refined sugar and looks like coarse brown sugar. It gave the cookies a nice sparkly appearance. You can roll the dough in granulated sugar, if you like. You could also bake them plain and decorate with a drizzle of chocolate when cooled. 1½ c. butter, room temp. Combine all ingredients, except flour and cocoa, and beat until light and fluffy, about 3 minutes. Stir in flour and cocoa and blend well. Shape rounded teaspoonfuls of dough into balls. Place 1-inch apart on ungreased baking sheet and bake in a preheated 375-degree oven for 7-9 minutes or until set. Cool. Makes about 5 dozen. Decorate with drizzles of melted chocolate or frosting, powdered sugar, sprinkles (apply before baking) or whatever you have on hand. 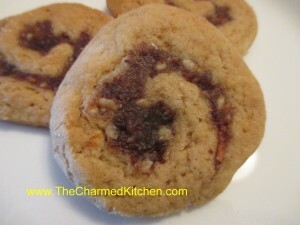 You can also bake the cookies in rounds with an indent in the middle and add a cherry later. I rolled the raw cookies in demerara sugar. It’s a less refined sugar at looks little coarse brown sugar. Gave the cookies a pretty sparkle. If you are looking for a truly tender cookie, this is it. 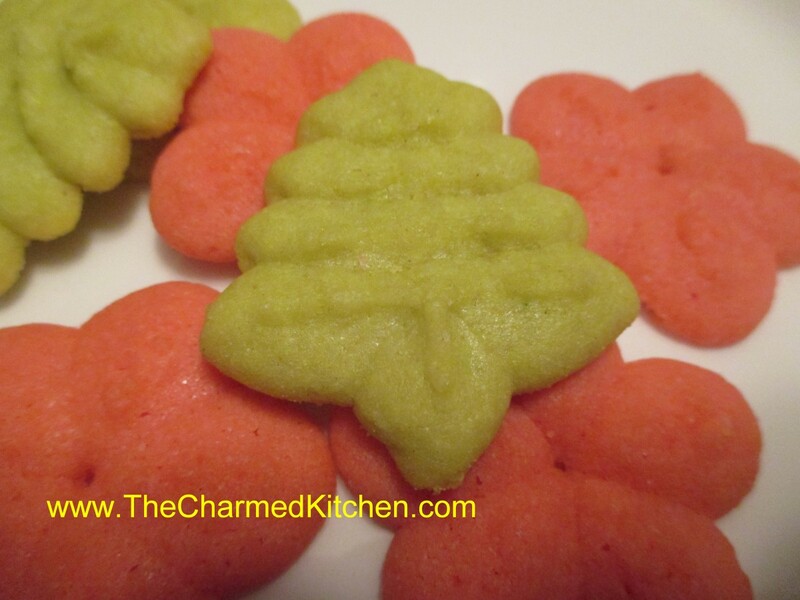 These cookies are so delicate, they just melt in your mouth!! The secret ingredient might surprise you. It is oil. Yes, I know I said butter cookies – they also contain butter. But the combination of oil and butter makes them soft and delicate, even days after baking. They also contain both granulated and powdered sugar. Not your typical cookie recipe, for sure. 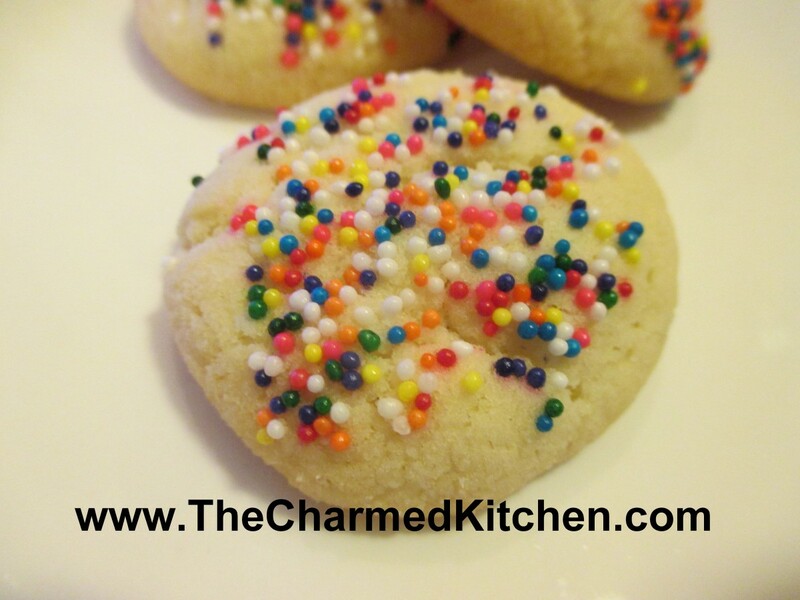 This just may be my “go to” butter cookie recipe from now on. I found a sheet of paper with the ingredients written on it. No directions, just ingredients listed and a notation about cooking time and oven temperature. 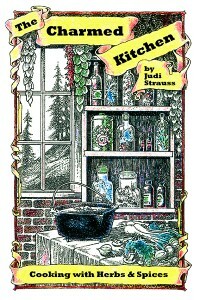 I wish I knew where I got the recipe. I would certainly give the source credit. I did increase the amount of vanilla a little. You don’t have to chill the dough and they roll very easily, without sticking to your fingers. You could chill the dough, but let it warm up a little before rolling. The dough can also be made ahead and frozen- I tested it. 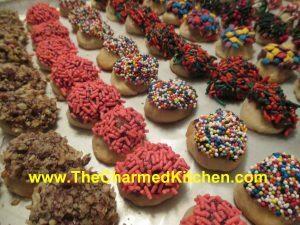 I dipped the tops of the raw cookies in sprinkles, but you could leave them plain and then roll in powder sugar, once baked and cooled, or drizzle with melted chocolate. In mixing bowl, beat together butter, oil, sugars and vanilla. Once well blended, beat in eggs. Stir in the baking soda, cream of tartar and salt, then add the flour, mixing until well combined. Heat oven to 350 degrees. Roll dough into one inch balls and press tops of cookies in sprinkles or colored sugar, if desired. Place one inch apart on ungreased baking sheets. Bake for 12 minutes, or until light golden on bottom. 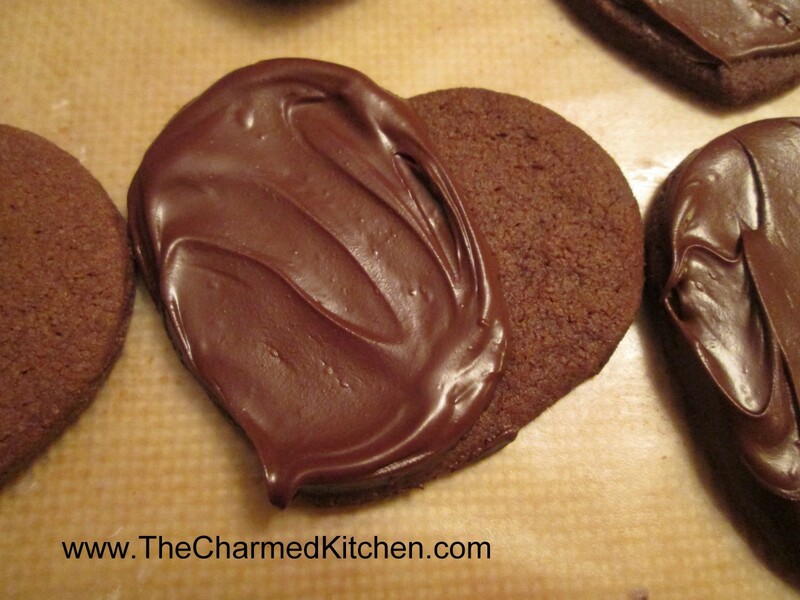 Leave cookies on baking sheets 3 minutes before placing on cooling rack. Makes about 6 dozen cookies. 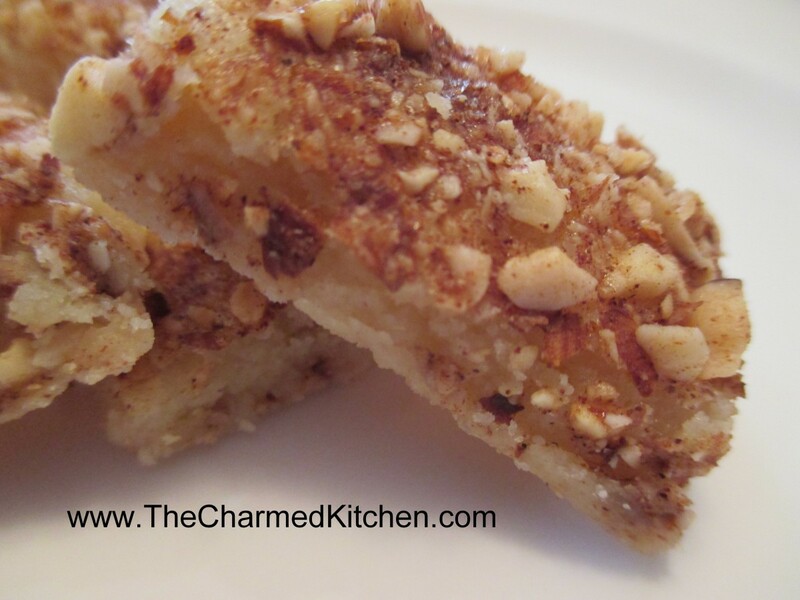 I love the sweetness of dates and really enjoy using that natural sweetness in baking. I always seem to make at least one dish with dates around the holidays. This year I decided to make date filled cookies. Moist and cake-like with the wonderful flavor of the dates, nut and citrus zest these cookies taste even better than they look. The cookie dough, made with brown sugar has an almost caramel like flavor. The combination is a winner for sure. 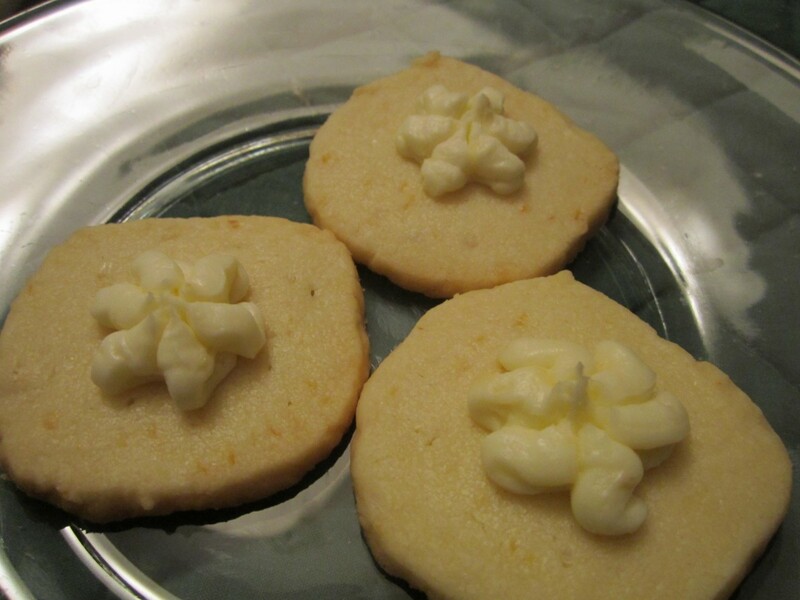 These cookies have a great lemon flavor and delicate texture. They are also easy to make. These are a slice and bake cookie. That means you make the dough, form into a roll, and chill. Now you can just slice and bake when you have the time. I sometimes make a batch and freeze them- so I can make fresh cookies whenever I like. In large bowl combine all dough ingredients and mix well. Divide dough in half and roll each half into an 8- inch roll. Wrap in plastic wrap and chill until firm, 1-2 hours. Slice chilled dough into ¼ inch slices and place 2 inches apart on a cookie sheet. Bake in a 350 degree oven for 8-12 minutes, or until cookies are set, but not brown. Cool completely on a rack. Combine frosting ingredients and beat until light and fluffy. Frost cooled cookies. Makes 4 dozen. I remember making pressed cookies when I was a kid. I loved using the machine to press out dough in all sorts of magical shapes. My mother was so kind- she let me make whatever I wanted. We had one Christmas with a whole plateful of camels. The machine we had required turning a handle- watching carefully, and turning the handle backwards to stop the flow of the dough. There are much easier versions of cookie presses today. Mine has a ratchet which pushes out the right amount of dough with one click. I decided to make some little green trees and red flowers this year. These cookies are light and very crisp. Great for having with coffee. They are also fast to make, once you get used to the cookie press. The fun thing about using a cookie press is that you can crank out a high volume of pretty cookies in no time flat. They taste good, too.